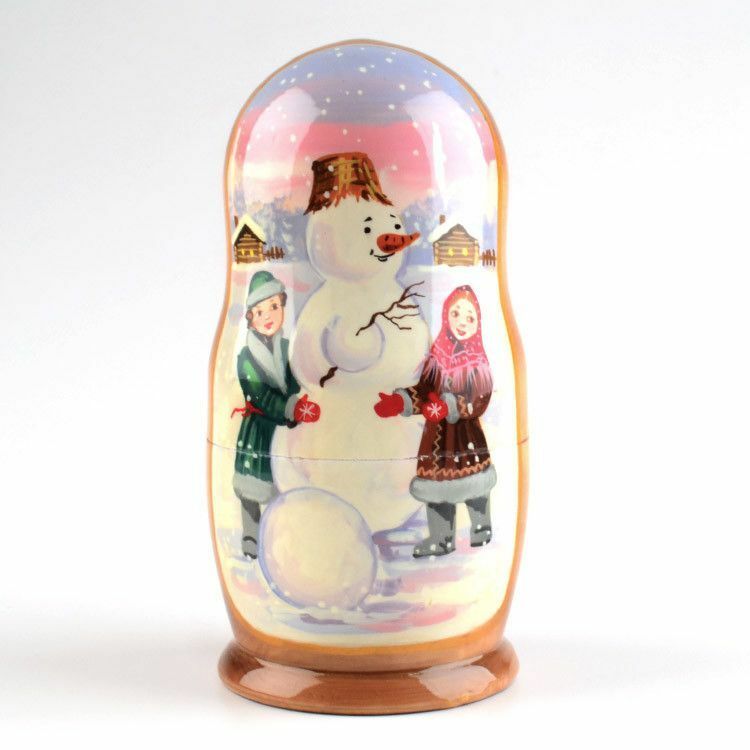 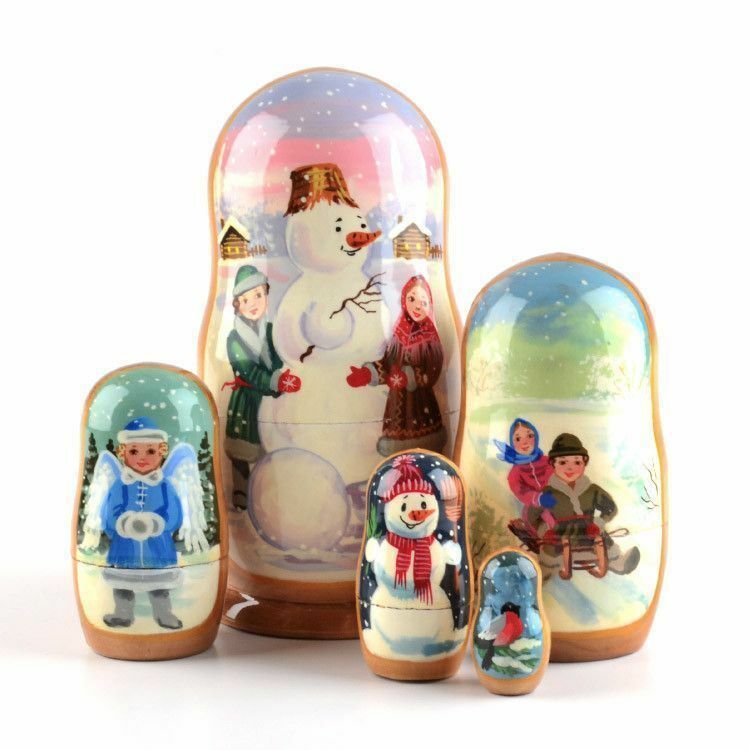 This beautifully painted nesting doll features various scenes related to Winter time and playing in the snow. 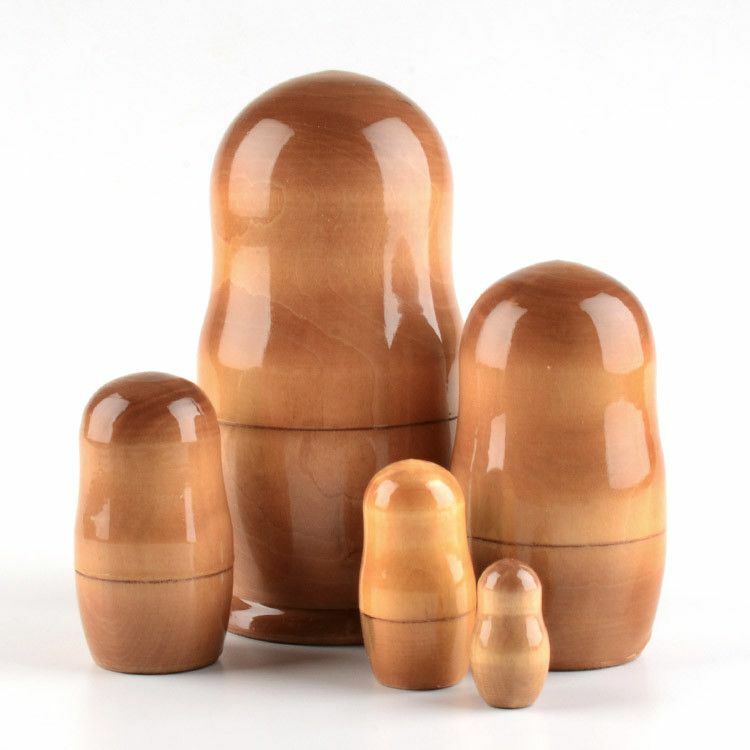 The back of the doll is left unpainted, which allows the beauty of the wood grain to be seen. 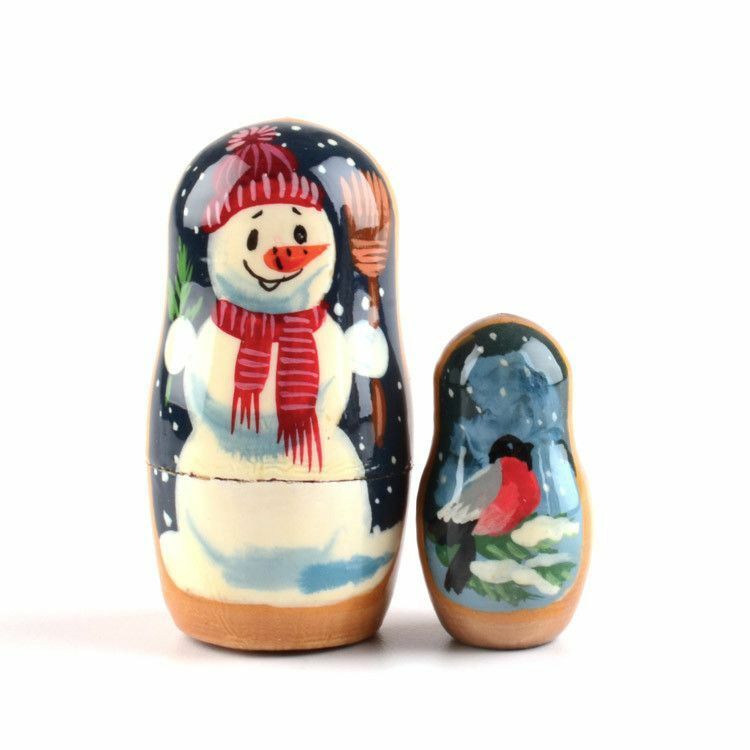 It stands about 7" tall and is gloss finished. 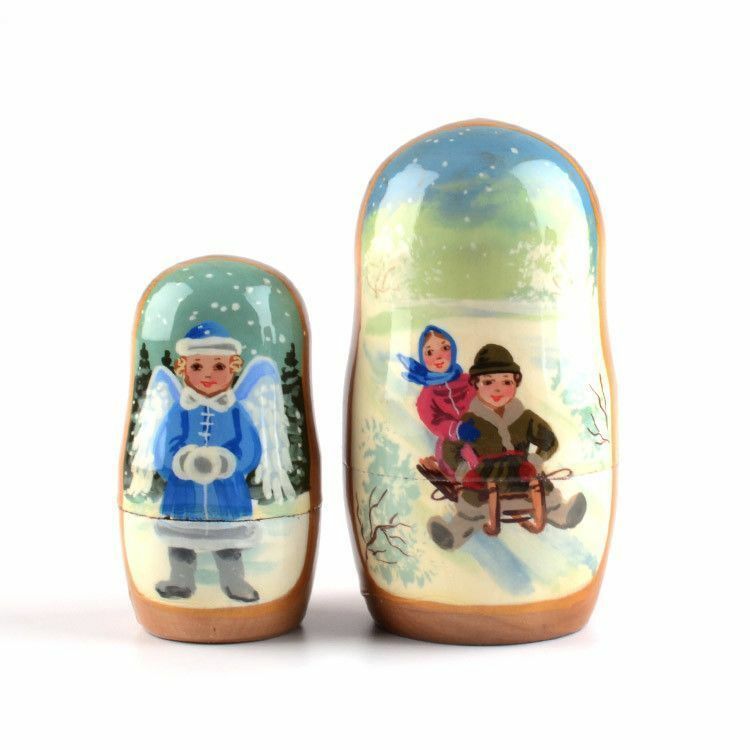 Makes a unique holiday gift!